Just as fast as the static, text-based website came into being, it went out again. You know how fast our technology changes. 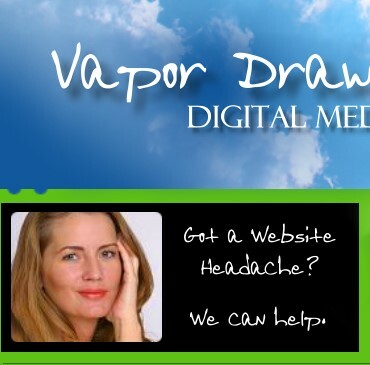 Your website has got to be more image heavy, more interactive, let's face it, more entertaining. And yet it has to work. Shoppers must be able to buy, information seekers to find, supporters to be able to connect with you. We can make it happen for you, whether it's a new site or a reconstruction. Obtaining or reconstructing a website doesn't have to be difficult. And we work hard to make it as easy as possible for you and your staff. We're geeks and lovin' it. But some of us weren't always that way. We remember learning how to attach a file to an email. So if you need a little hand-holding, we're there for you. Or we can take the technical reigns and let you stay out of it; whatever works for you. Be a company asset, not a headache. We know how to integrate design beauty and multimedia that will draw new viewers in and keep old ones coming back with hard-working applications that provide powerful interactivity, beautiful e-commerce and all-important sales data. We can also redesign your existing website and incorporate it into a complete digital media corporate identity package. Web TV is around the corner, WiFi is already here. Let us build or reconstruct a site that will position you as an innovative organization. It won't cost an arm and a leg either. We've got packages for every kind of budget, and we keep our own overhead low, so we can serve you efficiently and cost-effectively. Take these two words — Content Management — and you won't need to call me in the morning. We've got web-based content management, like the EasyFlex™ Website, or we can design a custom Content Management System (CMS) for your organizational needs. Or you may decide just to outsource your content mangement to us because we've got super affordable maintenance packages that will get that headache off your plate in a hurry! Web Development & Design, New Media, Search Marketing. We develop sophisiticated websites and powerful applications in HTML, CSS, XHTML, XML, PHP, MySQL, Actionscript (Flash) and more. Serving the Traverse City / Grand Traverse / Elk Rapids areas and North America. Fast, economical, trustworthy.